James Olin "Peanut" Bacon Jr.
James Olin “Peanut” Bacon Jr. age 91 of Rose Hill, VA was born on Saturday, July 23, 1927 in Hagan, VA And passed away on Friday, November 30, 2018 at his home in Rose Hill, VA. James served in the U.S. Army for 2 years and spent five years in the reserves. He worked for thirty years at Delco Moraine. After retiring he spent many years farming. He enjoyed spending time in the fields around his animals. 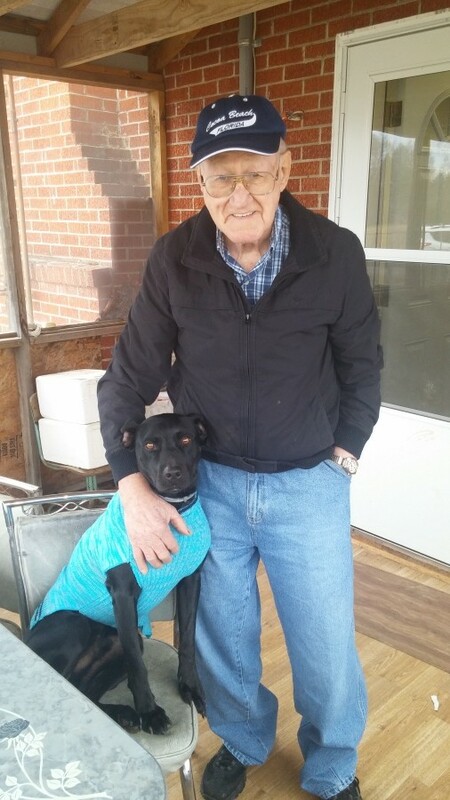 He loved his dog and had a heart of gold. He was preceded in death by his loving wife, (Toots) Mary Viola Bacon and daughter, Jaquline Diane Bacon; his parents, James Olin Bacon Sr. and Gustava Nida bacon and one grandson, Eric Wade Hensley; three brothers, Isaac (Ike) Bacon Sr., Earnest (Mick) Bacon and Kemp Bacon; one sister, Edna America Bacon. He is survived by his brother, Mike Bacon and wife Linda; three foster children, Joyce Hensley, Robin Poore and husband Tilmon and Tammy Woods and husband Joey; three nieces and two nephews; seven grandchildren and seven great-grandchildren and close friend, Leonard Hensley. Also several other nieces, nephews and extended family. His joy was seeing and being with the kids, grandkids and great-grandkids. Visitation will be from 5:00 to 7:00 PM Monday, December 3, 2018 at the Province Funeral Home in Jonesville, VA. Funeral service will follow at 7:00 PM Monday with Steve Neff officiating. A graveside service will be held at 2:00 PM Tuesday, December 4, 2018 at the Hamblen Cemetery on Flatwoods Rd. Family and friends are asked to meet at the cemetery at 1:45 PM Tuesday for the service. Pallbearers will be David bacon, Leonard Hensley, Johnathan Dyke, Dakota Trent, Tilmon Poore and TJ Poore. Honorary pallbearer will be Zach Martin. Memorials and condolences can be sent to the family by visiting www.provincefuneralhome.com We are located at 29521 Wilderness Rd. Jonesville, VA 24263. Phone 276-346-3553 Province Funeral Homes are honored to be serving the family of James Olin “Peanut” Bacon Sr.